The FNS50217 Diploma of Accounting is designed for those with accounting experience who are looking to become a qualified accounting professional or tax agent. Our Express Diploma package is ideal for those currently working in the industry and wanting to increase their skill set. You will be taught industry best practice from some of the most skilled and experienced professionals in the business. Due to the complexity of the Diploma units, we advise students with no previous qualifications or experience in the accounting industry to consider our Accounting Pathway programs instead; these programs follow a logical progression from basic accounting principles to more advanced concepts. Click here for more information on the accounting pathways available. As a Registered Training Organisation (ID 52240), we comply with the government’s strict quality and consistency standards. We conduct regular audits to ensure we keep this accreditation and deliver the level of training you deserve. The FNS50217 Diploma of Accounting qualification is recognised in all states and territories of Australia. For those with accounting experience but no qualifications, our Express Diploma of Accounting package includes the required prerequisites to be awarded the FNS50217 Diploma of Accounting upon completion. Commence your studies at any time - enrol now, start now! Online Learning - study at your own pace, at a time convenient for you. For accounting professionals looking to become a registered tax agent, the Express Diploma of Accounting plus Tax meets the education requirements of the TPB for tax agent registration. Associate Membership with Tax & Super Australia, valued at $199. Do you have a Certificate IV in Accounting/Bookkeeping? If you have previously completed an eligible Certificate IV in Accounting or Bookkeeping (FNS40215, FNS40615, FNS40217), you may be able to apply for credit transfer toward this Diploma. Call us on 1800 678 073 or email us to discuss this option. The Express FNS50217 Diploma of Accounting consists of 15 units of competency. There are 6 core units plus 9 elective units, which include the prerequisite FNSSS00014 Accounting Principles Skill Set. If you have previously completed a Certificate IV in Accounting or Bookkeeping, you may be eligible for our Core Unit Upgrade Package. Contact us on 1800 678 073 to speak with one of our enrolment advisors about your eligibility. The Express Diploma of Accounting + Taxation package consists of 17 units of competency. There are 6 core units plus 11 electives, including the required prerequisite FNSSS00014 Accounting Principles Skill Set and taxation units. This course meets the education requirements of the Tax Practitioners Board (TPB) for tax agent registration. Please note there are also additional requirements for tax agent registration, including experience, that you will need to satisfy. Contact the TPB for more information. If you have previously completed a Certificate IV in Accounting or Bookkeeping, you may be eligible for Credit Transfer towards the FNS50217 Diploma of Accounting + Taxation course. Contact us on 1800 678 073 to speak with one of our enrolment advisors about your eligibility. There is no minimum time frame, therefore students familiar with accounting concepts may be able to complete their course much sooner than the maximum time frame allowed. 3-month extensions can be requested at no additional cost if required. Extensions beyond this are assessed based on individual circumstances and may incur additional fees. Electronic textbooks are included for Module 1 only (hard copies can be purchased for these units if required). Some units also include classroom recordings to further assist with your learning. Diploma level textbooks (Module 2) are required to be purchased separately from the publisher. Applied Education students receive a discount when ordering through our supplier, full details are provided with enrolment. Textbooks will cost approximately $350. Diploma level textbooks (Module 2) and Taxation unit textbooks (Module 3) are required to be purchased separately from the publisher. Applied Education students receive a discount when ordering through our supplier, full details are provided with enrolment. Total cost for these textbooks is around $600. Before participating in this course you will be required to complete simple preliminary assessments which include a Language, Literacy and Numeracy (LLN) Test and a Work Health and Safety Assessment. Please note that it is now also a requirement of the Financial Services Training Package that your oral communication skills be assessed as part of your course. For online students, this will require the submission of a voice recording of a role-play conversation between yourself and others (further details will be provided upon enrolment). Diploma of Accounting assessments are completed using a variety of methods and are submitted via our online student portal. Assessments are open book and can be completed from your home or office. They comprise of theoretical and practical exercises, including multiple choice quizzes, short answer and calculations. For accounting software assessments simply upload copies of reports as PDFs from within your accounting package. Tax Practitioners Board Licensing Course units include an exam component, which needs to be independently supervised. Exams are three-hour, open-book assessments comprising of short answer and multiple choice questions, very similar in format to the unit assessments. Exams must be completed within your course duration period. Prior to your exam, you will need to complete and return the Supervisor Nomination Form to Applied Education detailing your supervisor's information, contact details and the elected date of your assessment. Exams can be undertaken at any location and time of your choosing, with the only condition being that you have a nominated supervisor present. Your supervisor can be any person of responsibility such as a registered tax agent, member of an accounting professional body, public servant, doctor, nurse, police officer, director etc. We understand not everyone has the financial resources upfront to invest in training, so we offer payment plans to get you moving faster towards your future. The Diploma of Accounting is eligible for either a 6- or 12-month payment plan. An administration fee is added for this option ($100 for 6 months, $150 for 12 months) and is spread over the instalments. Concession pricing is available for eligible students as per the Student Handbook. Proof of concession must be provided at the time of enrolment; please contact us to apply for a concession rate when enrolling. Receive a 12 month student membership to the Institute of Certified Bookkeepers (valued at $120). Free electronic copy included in course (RRP $149). This tax guide is essential for anyone navigating the Australian taxation system. Learn MYOB accounting and payroll with our online AccountRight course. Valued at $249, the 70-tutorial course is included free with the Diploma of Accounting. 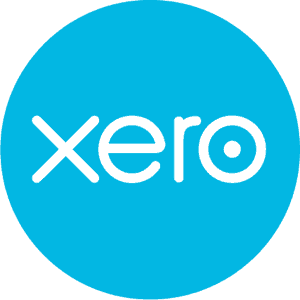 Learn Xero accounting and payroll with our online Xero course. Valued at $149, the course includes 27 tutorials and is included free with the Diploma of Accounting. Our comprehensive online Payroll Administration course, valued at $249, is included free with the Diploma of Accounting. Brush up on your Excel skills with our online Microsoft Excel courses. You will be able to access the Introductory and Advanced Excel courses that are included free with the Diploma of Accounting. Online study is a convenient, effective and affordable way to learn when and where you want. You can complete the Diploma of Accounting at your own pace and your own leisure whilst still having access to the Diploma of Accounting Training and Assessment team for support to maximise your learning experience. This course was formerly referred to as Associate Diploma of Accounting. The Diploma of Accounting TAFE equivalent qualification is a nationally-recognised course. Microsoft windows is the preferred operating system used for the study of this course. All student data files are supplied in windows format. Mac Users – We do include access to a Mac version of MYOB Student Edition, but please be aware that if you select this option, the data files required for some units and options available to you may be different from the manual. This will not affect your grades and assessors can still mark using the Mac version. Internet Access – ADSL internet with reliable connection required. All data files, learning activities and MYOB software are available via our student portal for download. Why study with Applied Education? Applied Education is also approved by the Tax Practitioners Board to offer the BAS Agent Registration units as well as the Advanced Diploma of Accounting.